“I believe that despite all the difficulties, we should seek dialogue with Russia,” he added on Thursday, warning that relations with Moscow could worsen even further. NATO’s buildup in Europe also came under fire from Germany’s Die Linke party. 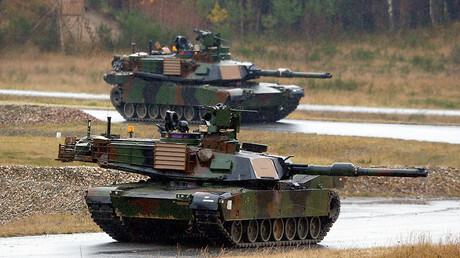 “Tanks do not create peace, anywhere,” Christian Görke stressed in a statement, RBB reported. 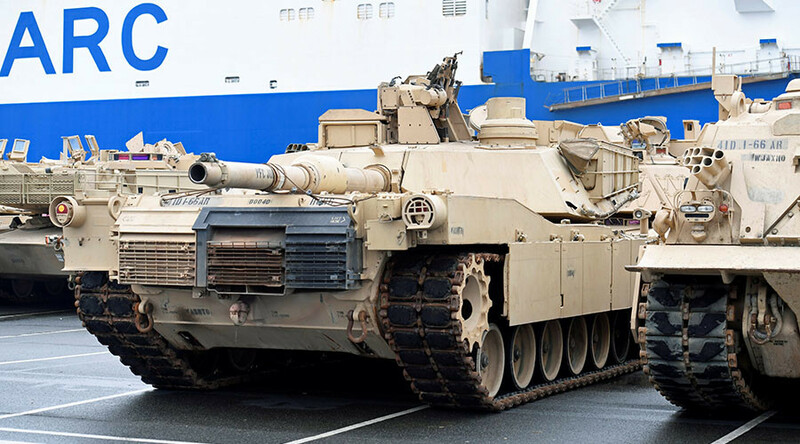 Tobias Pflueger of Die Linke slammed the stationing of US tanks and military equipment in Poland, saying this will trigger an arms race and lead to an “escalation in relations with Russia,” Focus Online reported. Crowds of people marched through Bremerhaven on Saturday to protest the deployment and transport of NATO troops and weapons through the city. 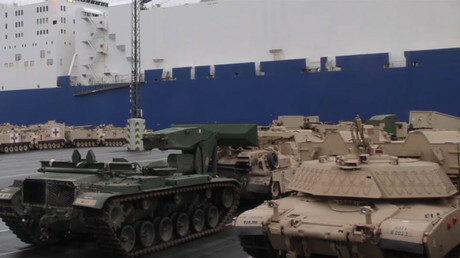 Hundreds of American tanks, trucks, and other military equipment bound for Poland, said to be the largest arms shipment since the fall of the Soviet Union, arrived at the German port on Friday to be transferred to Eastern Europe. “There is, starting from Washington DC, a major push to do everything possible in the next two weeks to create unending hostility between the West and Russia that can’t be undone by Donald Trump or anyone else. Even at the risk of open violence, rather than simply Cold War hostility. “This is highly preferable to weapons profiteers as against actual peace breaking out, which is their greatest fear,” author and journalist David Swanson told RT on Monday. Over the last few days, some 2,800 pieces of military hardware and 4,000 troops have arrived at the port in Bremerhaven. The new forces will first be moved to Poland, where they will take part in military drills at the end of the month. They will later be deployed across seven countries, including the Baltic states, Bulgaria, Romania, and Germany. A headquarters unit will be stationed in Germany. “Let me be clear: This is one part of our efforts to deter Russian aggression, ensure the territorial integrity of our allies, and maintain a Europe that is whole, free, prosperous, and at peace,” US Air Force Lieutenant General Timothy M. Ray declared on Sunday, as quoted by Reuters. Operation Atlantic Resolve, a large-scale military venture officially touted by Washington as a demonstration of “continued US commitment to the collective security of Europe,” began in April of 2014 after Crimea voted to split from coup-stricken Ukraine and rejoin Russia in a referendum. Matthew Hoh, a former State Department official who is now a member of Veterans for Peace, told RT that the deployment of extra forces in Europe is only to appease hawks on both sides of the Atlantic. “There are certainly nationalists throughout Europe, whether they be in Britain, whether they be in Germany, in Poland and the Baltic states, who want this because they think American tanks make them stronger, tougher or more popular, or its going to help them fight some kind of overseas or cross-border enemy to deflect people’s attentions from the problems in their home countries,” he said. Hoh believes that the current governments in both Europe and the United States lack an understanding of history or the consequences of military adventurism.